Meanwhile, in medium bowl, combine eggs, milk, basil, salt and hot pepper sauce; mix well. Set aside. Heat oil in large nonstick skillet over medium-high heat until hot. Add onion, bell pepper, celery and garlic; cook and stir 3 minutes. Add cooked rice and tomato; mix well. Reduce heat to low. Pour egg mixture into skillet. Cover loosely; cook 15 to 20 minutes or until center is set, lifting edges occasionally to allow uncooked egg mixture to flow to bottom of skillet. 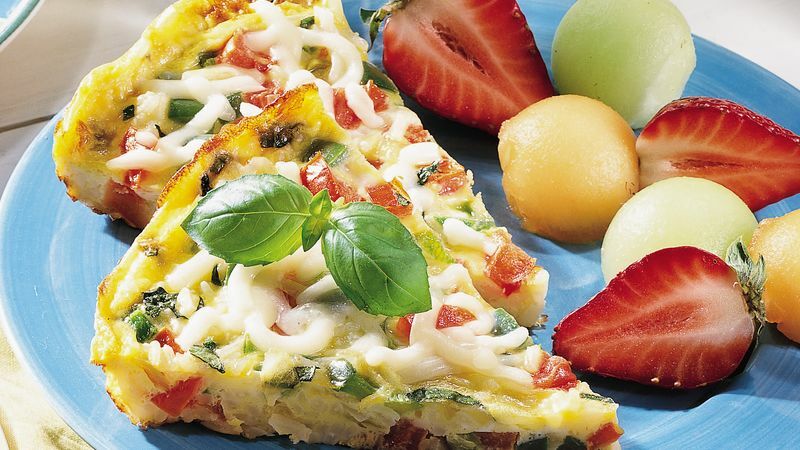 Sprinkle frittata with cheese. Cover; cook 1 to 2 minutes or until cheese is melted. To serve, cut into 8 wedges.